Though hailed by his supporters for his supposed business acumen, the truth is Donald Trump had made a ton of losing bets in real estate and other ventures leading to six bankruptcies, according to the Washington Post. Among them was the Trump Taj Mahal casino in Atlantic City. Trump paid more than $600 million for the unfinished casino, which he billed as the “eighth wonder of the world.” It opened in 1990 and filed for bankruptcy a year later. Betting on a casino—four of them in fact—would seem like a sure bet. 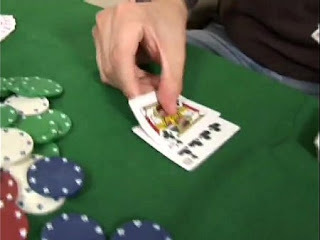 Anyone who has gambled and lost in casinos can rightfully ask the question, How can you lose on a casino? It’s like a funeral parlor going under, if you forgive the pun. But the self-described business tycoon Trump managed to lose money in his casinos but not by playing slots. Now as President, Trump has made another losing bet: the Trump partial shutdown of the federal government over his insistence there be funding for an inane wall, which on the campaign trail in 2016 he assured his supporters that Mexico would foot the bill. 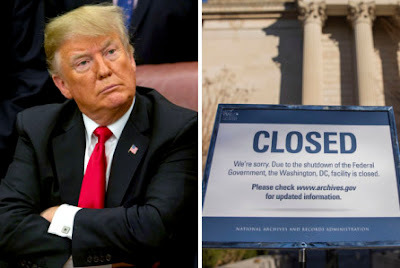 About 800,000 Federal employees are either furloughed or working without pay as pawns in this standoff between Trump and the newly emboldened Congressional Democrats. Just sworn-in Speaker Nancy Pelosi described Trump’s medieval wall as an “immorality” and Trump is still digging in lest he will get criticized by his kitchen cabinet consisting of Ann Coulter, Rush Limbaugh and Sean Hannity among other right wing talking heads. During the impasse, Trump has rarely mentioned the Federal employees victimized by this dysfunction. Yes, he suggested that they can offer their landlords manual labor in lieu of paying rent (he was serious) and he characterized most Federal employees as Democrats (read: Black) so I’m sure he’s not losing sleep as their first paycheck since the shutdown began is about to be missed. His insensitivity to their plight is not surprising given his decided lack of empathy during disasters, mass shootings, and a deadly neo-Nazi march in Charlottesville, a devastating hurricane in Puerto Rico as well as other tragedies. But he should, if he had any political acumen, understand that this gambit is a losing one. A solid majority in the country oppose a wall along the southern border. Federal employees, their families, neighbors, friends and sympathetic retirees live in Congressional districts throughout the country and they will remember at the ballot box in 2020 who is responsible for this travesty. The longer this shutdown lasts, the worst it will be politically for Trump, Senate Leader Mitch McConnell and other compliant enablers in the GOP. Fissures are starting to form among Republicans and will deepen as this goes on. Particularly for Trump, however, this one was a loser from the get-go.